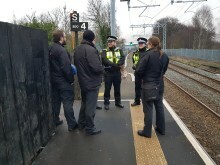 West Midlands Railway has been clamping down on ticketless travel and antisocial behaviour on the Chase line. On Friday (18 January), a total of 25 revenue protection managers were stationed at six locations on the line between Bloxwich and Rugeley Town from 1500 until 1830. Passengers travelling on routes via Birmingham Snow Hill are being advised to check their train times before they travel this afternoon. 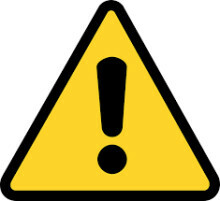 There have been two incidents on the route today – a signalling problem at Old Hill and a separate incident elsewhere on the line. 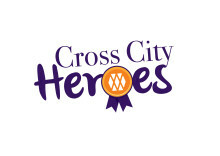 West Midlands Railway is looking for the region’s Cross City Heroes. 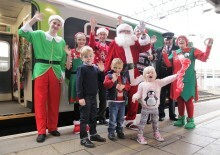 The train operator has opened a competition to find deserving community groups near to stations along the line between Redditch/Bromsgrove, Birmingham New Street and Lichfield. 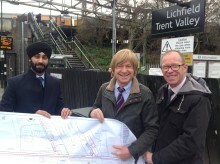 Passengers using Birmingham’s Snow Hill Station are to get a new entrance so they can switch seamlessly between local rail and tram services. 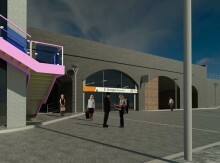 An image of how the new eastern entrance will look was released today (Tuesday December 18) by Transport for West Midlands (TfWM), part of the West Midlands Combined Authority (WMCA).